Alec Baldwin as Donald J. Trump on “Saturday Night Live” in November. A dusting of Clinique Stay-Matte powder in honey. A hand-stitched wig. Eyebrows glued up into tiny peaks. The rest is left to Alec Baldwin: the puckered lips, a studied lumbering gait and a wariness of humanizing a man he reviles. The transformation of Mr. Baldwin, an outspoken liberal, into the president-elect, Donald J. Trump, for his running parody on NBC’s “Saturday Night Live,” entails a tangerine hairpiece and a tricky tightrope walk. It means balancing a veteran actor’s determination to subsume his identity into a character, even as, in his offstage life, he is firm in his belief that the man about to take office is a dangerous figure. Much has been made of Mr. Trump’s hands. For Mr. Baldwin, they are a focus, but for their movements. Before the actor’s first appearance, he watched hours of rallies and campaign appearances to mimic Mr. Trump’s style. His Trump is as much censure as impersonation. He does not write the sketches. He is paid $1,400 for each appearance on the show, he said. “I’m not interested much by what’s inside him,” he said, but in how he moves and takes up space. Mr. Baldwin then amplifies the gestures, and distills them. An emphatic wave becomes a goofy “wax-on, wax-off” movement, he said, the simple hand motion reducing a candidate to an essence: pitchman. “Saturday Night Live” happens at a lightning pace: Those minutes of preparation include dusting the sunset color across Mr. Baldwin’s face — but not around his eyes, where “raccoon” circles of white are drawn, he said. The wig, which on Saturday night rested high on a shelf next to the actor Kate McKinnon’s Hillary Clinton hair, is custom made for Mr. Baldwin’s head, via seven vectors measured forehead to nape, according to Jodi Mancuso, the show’s hair designer. Playing Mr. Trump as a buffoon landing headfirst in his own gaffes has at points rendered him almost sweetly silly on screen. After the election, Mr. Baldwin recalled, he was distressed to receive an email from a friend sardonically thanking him for humanizing Mr. Trump and helping him win. Mr. Baldwin said that he planned to continue playing Mr. Trump on “Saturday Night Live” and perhaps elsewhere, but that his work schedule — he is about to film two movies — would mean his performances would be intermittent. Besides, he said, it might start to get old for audiences. It has been suggested that Mr. Baldwin, 58, is uniquely able to portray Mr. Trump — and to rankle him — because of their similarities. In 2011, Mr. Baldwin mulled running for mayor of New York City. They can both appear thin-skinned. Antagonized by paparazzi and feeling harassed by what he says are false accusations that he uttered slurs, Mr. Baldwin has at times publicly denounced the media. On Twitter, he can be pugilistic, notably with Mr. Trump and with his brother Stephen Baldwin, over their divergent political views. 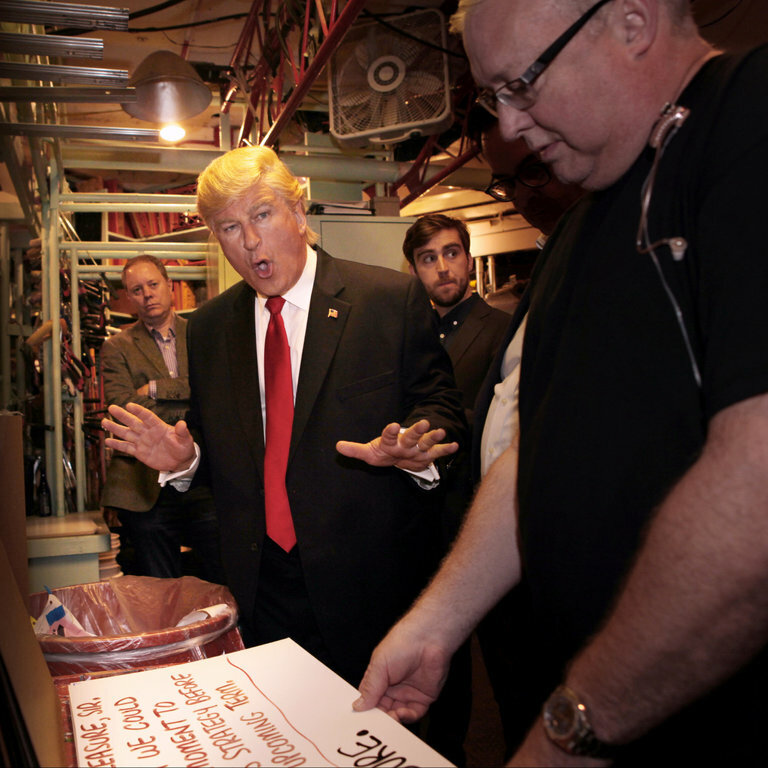 As a candidate, Mr. Trump protested the “Saturday Night Live” portrayal of him, calling it part of a “rigged” media campaign to undermine him. Mr. Baldwin said that Lorne Michaels, the creator and executive producer of “Saturday Night Live,” has countered that the sketch show has long been an equal-opportunity heckler. Mr. Baldwin’s first appearance as Mr. Trump on the show was on Oct. 1, a little over a month before the election. He riffed on Mr. Trump’s irascibility and his pronunciation of “China.” Mr. Baldwin reprised the role four more times before the election, with each appearance building toward what many thought was the inevitable. As president-elect, Mr. Trump has continued to tweet his displeasure. “Just tried watching Saturday Night Live — unwatchable! Totally biased, not funny and the Baldwin impersonation just can’t get any worse. Sad,” he posted just after midnight on Dec. 4. Mr. Baldwin said that he considered the reprobation “funny,” even as a fake news article has circulated since his first appearance as Mr. Trump, mourning the actor’s death. As the call to dress for rehearsal sounded in the eighth-floor corridor at 30 Rock, Mr. Baldwin ducked into his dressing room with his wife, Hilaria, and 3-year-old daughter Carmen, who had stopped by to kiss him good night, shutting the door. Suddenly, he popped it back open. He closed the door and put on his suit. An earlier version of this article misidentified the brother Alec Baldwin feuds with about politics on Twitter. He is Stephen Baldwin, not Billy. Donald Trump’s team on Tuesday sought to distance his adult children from a nonprofit offering top donors access to the president-elect Inauguration Weekend in exchange for $1 million donations. An invitation for a Jan. 21 fundraiser, viewed by The Wall Street Journal, listed Donald Jr. and Eric Trump as “honorary co-chairmen” and said the event would be hosted by the Opening Day Foundation, a nonprofit where the younger Trumps were registered as directors, according to the Texas secretary of state, less than a week ago. The filing with the Texas secretary of state shows the Trumps were registered as directors for the nonprofit on Dec. 14. The registered agent for the group is Gentry Beach, a longtime friend of Donald Jr. whom the president-elect last month appointed to his inaugural committee. Mr. Beach didn’t immediately return a request for comment. Ms. Hicks said the president-elect is “not aware of the event or the details pertaining to” it. She didn’t respond to a question about whether he would attend. “All net proceeds” from the event will be donated to unnamed “conservation charities,” according to the invitation. An earlier version of the invitation, published by TMZ.com and first reported by the Center for Public Integrity, was blunter and named the president directly. A spokesman for the event didn’t return a request for comment about the change. During the campaign, Mr. Trump pledged to “drain the swamp” and said that as president, he wouldn’t be beholden to special interests and major donors. He also railed against Democrat Hillary Clinton and her family foundation, accusing her of engaging in “pay-to-play” politics as secretary of state. Mr. Trump could now spend his first full day as president meeting with donors to his own family’s foundation. What’s more, as a nonprofit, Opening Day Foundation will not be required to disclose its donors. Already, donors who gave $1 million or more to Mr. Trump’s inaugural committee are guaranteed tickets to a “candlelight dinner” with “special appearances” by Mr. Trump and his wife, Melania. On a conference call with reporters on Tuesday, spokesman Jason Miller said he hadn’t spoken to Mr. Trump about whether he planned to set a policy regarding his children’s fundraising efforts. Donors who give $500,000 (“Grizzly Bear” status) to participate in his sons’ event can also meet the newly sworn-in president along with eight guests, and can attend the “hunting and/or fishing excursion” with Mr. Trump’s children. The minimum amount donors can give and meet the president: $250,000 (“Elk” status). The Inauguration Weekend event will be held in downtown Washington, D.C., blocks from the White House. The attire: “Jeans, boots and hats are welcome.” Singer Toby Keith will also perform. In addition to Mr. Trump’s sons, two top fundraisers for Mr. Trump registered with the Texas secretary of state as directors of the nonprofit: Mr. Beach, an investor, and Tom Hicks Jr., son of a Dallas billionaire. Both are listed as co-chairmen for the fundraiser, and last month Mr. Trump appointed them to serve as finance vice-chairmen for his inaugural committee. The event is likely to spark further concerns about the role of Mr. Trump’s children, who are expected to take control of the family business once their father enters the White House. So far, they have played an active role in their father’s transition efforts, raising alarm about the potential for conflicts of interest. Mr. Trump appointed all three adult children to his transition team executive committee, and Donald Jr. heavily influenced his father’s decision to fill the post of interior secretary with Rep. Ryan Zinke—a congressman who shares the younger Trump’s enthusiasm for hunting. In the past quarter-century liberalism has had it too easy. Its dominance following Soviet communism’s collapse decayed into laziness and complacency. Amid growing inequality, society’s winners told themselves that they lived in a meritocracy—and that their success was therefore deserved. The experts recruited to help run large parts of the economy marvelled at their own brilliance. But ordinary people often saw wealth as a cover for privilege and expertise as disguised self-interest. After so long in charge, liberals, of all people, should have seen the backlash coming. As a set of beliefs that emerged at the start of the 19th century to oppose both the despotism of absolute monarchy and the terror of revolution, liberalism warns that uninterrupted power corrupts. Privilege becomes self-perpetuating. Consensus stifles creativity and initiative. In an ever-shifting world, dispute and argument are not just inevitable; they are welcome because they lead to renewal. ways were being upended by relentless technological, economic, social and political forces. People yearned for order. The illiberal solution was to install someone with sufficient power to dictate what was best—by slowing change if they were conservative, or smashing authority if they were revolutionary. You can hear echoes of that in calls to “take back control”, as well as in the mouths of autocrats who, summoning an angry nationalism, promise to hold back the cosmopolitan tide. Liberals came up with a different answer. Rather than being concentrated, power should be dispersed, using the rule of law, political parties and competitive markets. Rather than putting citizens at the service of a mighty, protecting state, liberalism sees individuals as uniquely able to choose what is best for themselves. Rather than running the world through warfare and strife, countries should embrace trade and treaties. Such ideas have imprinted themselves on the West—and, despite Mr Trump’s flirtation with protectionism, they will probably endure. But only if liberalism can deal with its other problem: the loss of faith in progress. Liberals believe that change is welcome because, on the whole, it is for the better. Sure enough, they can point to how global poverty, life expectancy, opportunity and peace are all improving, even allowing for strife in the Middle East. Indeed, for most people on Earth there has never been a better time to be alive. Large parts of the West, however, do not see it that way. For them, progress happens mainly to other people. Wealth does not spread itself, new technologies destroy jobs that never come back, an underclass is beyond help or redemption, and other cultures pose a threat—sometimes a violent one. If it is to thrive, liberalism must have an answer for the pessimists, too. Yet, during those decades in power, liberals’ solutions have been underwhelming. In the 19th century liberal reformers met change with universal education, a vast programme of public works and the first employment rights. Later, citizens got the vote, health care and a safety net. After the second world war, America built a global liberal order, using bodies such as the UN and the IMF to give form to its vision. Nothing half so ambitious is coming from the West today. That must change. Liberals must explore the avenues that technology and social needs will open up. Power could be devolved from the state to cities, which act as laboratories for fresh policies. Politics might escape sterile partisanship using new forms of local democracy. The labyrinth of taxation and regulation could be rebuilt rationally. Society could transform education and work so that “college” is something you return to over several careers in brand new industries. The possibilities are as yet unimagined, but a liberal system, in which individual creativity, preferences and enterprise have full expression, is more likely to seize them than any other. After 2016, is that dream still possible? Some perspective is in order. This newspaper believes that Brexit and a Trump presidency are likely to prove costly and harmful. We are worried about today’s mix of nationalism, corporatism and popular discontent. However, 2016 also represented a demand for change. Never forget liberals’ capacity for reinvention. Do not underestimate the scope for people, including even a Trump administration and post-Brexit Britain, to think and innovate their way out of trouble. The task is to harness that restless urge, while defending the tolerance and open-mindedness that are the foundation stones of a decent, liberal world. This is the case in other states as well, meaning many rural and small-town Trump supporters may soon see that Make America Great Again means accelerating economic decline and social devastation. Mr. Trump shows little understanding of the intricate interplay of subsidies and rules in the health care system, and probably has no inkling that federal taxes collected from liberal states like California, Massachusetts and New York heavily subsidize vital health services, businesses and family benefits in the very places that voted heavily for him. In delegating plans for huge health care cutbacks to hard-right congressional Republicans, he will be hurting his own base. But will Mr. Trump suffer repercussions if the Republican Congress plows ahead? Its proposed changes are unpopular — including repealing the Affordable Care Act, which only one in four Americans support — and eliminating benefits usually arouses anger in the affected groups. But political punishment will not be automatic, because Democrats currently have little organized presence outside urban areas. Small cities and rural areas are overwhelmingly represented in Congress and state capitols by Republicans, who will do all they can to displace blame. Last month Nigel Farage was at the Trump Tower to pay homage to the Donald. Donald urged Nigel to campaign against wind farms in England, Scotland and Wales. The turbines would spoil the views of the coastal course, which is named Trump International Golf Links. Farage stated that the UK can 'do business' with Trump. If the Donald and Nigel have experience in anything, it's wind ! Critics say the plan could allow Trump or members of his administration to continue to draw income from their businesses — and even peek in on how their companies are faring. Donald Trump’s aides are considering a business arrangement that critics say would allow him or his appointees to sidestep conflict-of-interest laws governing the incoming administration and large investments in private-sector business. Aides responsible for setting up ethics firewalls have held discussions with officials at the Office of Government Ethics about establishing what’s known as a “discretionary trust,” according to two sources briefed on the talks. Such an arrangement could allow Trump or his family members to reap some of the legal benefits of a blind trust, but could also give them some insight into how the Trump businesses are faring while also allowing Trump and his family to continue to make money from those investments. The sources said it was unclear whether Trump’s aides were exploring the arrangements for the president-elect, for Trump family members or for a series of wealthy individuals nominated for his Cabinet. But the conversations provide a window into the Trump team’s high-stakes deliberations over how to address ethical and conflict-of-interest concerns as the new administration moves to install in top-ranking positions individuals with vast business holdings. The discussions with the Office of Government Ethics about discretionary trusts suggest the Trump team is still weighing options that fall short of what ethics watchdogs have demanded, such as selling off assets that could pose a conflict of interest or parking wealth in classic blind trusts. An OGE spokeswoman declined to comment on the reported discussions. In a typical blind trust arrangement approved by federal ethics authorities, an incoming official’s investments are transferred to an institutional financial manager who oversees them without reporting details to the owner. Assets that risk a conflict of interest are sold off over time and replaced with assets the official is not informed about. Even with a blind trust, the conflicts are not considered resolved until the original problem-creating assets are sold off. But with a discretionary trust, the conflicts almost magically disappear because the investments aren’t considered to belong to the incoming official at all — even if they’re producing a steady stream of income for the official. Instead, the assets are held in a trust that is often overseen by a family member who can, but is not legally required to, send revenues from the assets to the government official. Another benefit: there’s no explicit prohibition on the official talking with the trustee about the financial holdings. Longtime observers of OGE believe the office’s current chief, Walter Shaub, is unlikely to approve any expansion of the discretionary trust policy already in place. Shaub was nominated by President Barack Obama and confirmed by the Senate in early 2013. His five-year term runs into January 2018. The search for a wall between public and private interests has been a politically painful one for Trump. He initially promised to announce an ethics plan at a news conference last week, but days before the conference Trump canceled the announcement, tweeting instead that his adult sons Donald Trump Jr. and Eric Trump would run the business in his absence and that he would announce a comprehensive arrangement before taking office in January. The option the Trump team is said to be exploring seeks to build on legal memos the Office of Government Ethics issued in 2008 and 2013, ultimately concluding government officials who are beneficiaries of trusts did not have to report them on financial disclosure forms if the officials were not legally entitled to payments or assets from the trusts. The use of a discretionary trust would not be without its own complications. If President-elect Trump or his family members moved existing assets into new or existing trusts, that could create capital gains or gift tax liabilities, lawyers said. However, OGE can issue a certificate to defer the capital gains bill when such moves are made to comply with federal conflict-of-interest laws or policies. Another wrinkle the Trump team will have to consider: OGE’s opinion on what constitutes a conflict of interest under federal law usually carries the day with ethics officers at various government agencies, but it is not binding on federal prosecutors, who have the ultimate enforcement authority. So even a stamp of approval from OGE doesn’t guarantee someone won’t face investigation in the future. Painter said the Trump team is unlikely to prevail if it presses OGE to approve a discretionary trust arrangement, at least as long as Shaub is in charge. Donald Trump believes that those who aspire to the most visible spots in his administration should not just be able to do the job, but also look the part. Given Trump’s own background as a master brander and showman who ran beauty pageants as a sideline, it was probably inevitable that he would be looking beyond their r&#233;sum&#233;s for a certain aesthetic in his supporting players. The parade of potential job-seekers passing a bank of media cameras to board the elevators at Trump Tower has the feel of a casting call. It is no coincidence that a disproportionate share of the names most mentioned for jobs at the upper echelon of the Trump administration are familiar faces to obsessive viewers of cable news — of whom the president-elect is one. Mattis has a passing physical resemblance to the legendary World War II commander, as well as to the late actor George C. Scott, who won an Academy Award for his portrayal of Patton in the 1970 biopic. Trump also seems particularly enamored with a nickname that Mattis is said to privately dislike. “You know he’s known as ‘Mad Dog’ Mattis, right? ‘Mad Dog’ for a reason,” Trump said in a recent interview with the New York Times. Battling through the GOP primary, Trump frequently made barbed comments about his opponents’ appearances. Those kind of skin-deep standards helped make Trump a success as a reality-television star and international brand, but his critics say they are worrisome in the Oval Office. All of which has led him to some unconventional picks. If confirmed by the Senate, ExxonMobil chief executive Rex Tillerson will become the first secretary of state in modern history to come to the job with no experience in government. Then again, Trump himself has none. South Carolina Gov. Nikki Haley (R) has little obvious foreign policy experience to qualify her for United Nations ambassador, but she is a rising political star who brings diversity to Trump’s largely white and male picks for top jobs. Given how she and the president-elect had clashed during the 2016 campaign, Haley’s selection also suggests that Trump is willing to bring adversaries into the fold when they suit his needs. In hiring, Trump has long trusted his own impressions, at times more than a candidate’s expertise or experience. In 1981, he saw a security guard at the U.S. Open tennis championships masterfully eject some hecklers. Trump asked Barbara Res, one of his top construction executives, to hire the man. “But you’ve never even met him!” she protested. Trump said he liked how the man looked when he handled the situation. That security guard, Matthew Calamari, has worked for Trump for 35 years and is now chief operating officer of Trump Properties. His son, Matthew Calamari Jr., started with Trump five years ago as a security guard and is now the Trump Organization’s director of surveillance. Trump’s closest aides have come to accept that he is likely to rule out candidates if they are not attractive or not do not match his image of the type of person who should hold a certain job. Trump was drawn to Tillerson and 2012 GOP nominee Mitt Romney for secretary of state because of their presence and the way they command a room when they walk in. The president-elect considered Romney despite the former Massachusetts governor’s scathing criticism of him during the presidential campaign. Several Trump associates say he was drawn to Romney, and later to Tillerson, by their “central casting” quality, a phrase the president-elect uses frequently in his private deliberations. People close to Trump said he has been eager to appoint a telegenic woman as press secretary or in some other public-facing role in his White House — both because he thinks it would attract viewers and would help inoculate him from the charges of sexism that trailed his presidential campaign. His first choice was his campaign manager, Kellyanne Conway, who has resisted the offer. Others under consideration included Laura Ingraham, Kimberly Guilfoyle and Monica Crowley, all of whom are conservative pundits familiar to the viewers of Fox News Channel. The current favorite for press secretary is Republican National Committee chief strategist and communications director Sean Spicer, who has impressed Trump with his tough and unyielding defenses of the incoming administration in hostile interviews on cable news networks. Crowley, meanwhile, has been picked to become communications chief for Trump’s National Security Council, where the deputy director will be K.T. McFarland, another longtime denizen of the Fox green room. Trump is also said to be considering CNBC commentator Larry Kudlow for head of his Council of Economic Advisers. That is normally an all-but-invisible spot given to a prestigious economist, but Kudlow has neither an undergraduate nor graduate degree in the subject. Kudlow is, however, known for his ardent advocacy of tax cuts, which are also a top priority for the incoming president. In Trump’s administration, the job description may be to formulate his policies — and also help sell them on TV. WEST PALM BEACH, Fla. — President-elect Donald J. Trump said on Thursday that the United States should greatly “expand its nuclear capability,” appearing to suggest an end to decades of efforts by presidents of both parties to reduce the role of nuclear weapons in American defenses and strategy. Mr. Trump’s statement, in a midafternoon Twitter post, may have been a response to President Vladimir V. Putin of Russia, who in a speech to his military’s leadership in Moscow earlier on Thursday vowed to strengthen Russia’s nuclear missiles. Mr. Putin said nuclear forces needed to be bolstered so they could “reliably penetrate any existing and prospective missile defense systems,” apparently a reference to the Pentagon’s efforts to develop systems capable of shooting down nuclear-armed rockets. Shortly after Mr. Putin’s comments were reported by the news media, Mr. Trump said on Twitter that the United States must “strengthen and expand” its nuclear forces “until such time as the world comes to its senses regarding nukes.” He did not elaborate. The vagueness of Mr. Trump’s posting made it difficult to assess its possible impact on American foreign policy, and further illustrated the potential dangers in setting policy, especially on such grave matters, in Twitter bursts and offhand remarks. Nuclear weapons are so fearsome that only a president can order their use, and deterrence is normally a complicated subject debated in academic treatises and negotiated over years by diplomats. Aides to Mr. Trump, asked to clarify what the president-elect meant by the need to “expand” the nuclear ability of the United States, responded with a statement that did not address that point. It was the second time in two days that aides had tried to recast a statement from Mr. Trump. On Wednesday, he appeared to say that recent terror attacks in Europe had vindicated his campaign pledge to bar Muslims from entering the United States. Aides later said he was merely restating his promise to implement strict vetting and suspend the admission of people from countries associated with terrorism. With his Twitter post on nuclear arms, it remained unclear from his use of the word “expand” whether Mr. Trump would try to reverse agreements such as the New Start treaty, which Russia and the United States signed in 2010 and which commits both nations to modest reductions in strategic nuclear forces. But the implications of Mr. Trump’s post — if it signals the beginning of a new era of nuclear weapons expansion in the United States — could be profound. Derek Johnson, the executive director of Global Zero, a group that seeks the elimination of nuclear weapons, accused Mr. Trump of calling for a “new nuclear arms race,” even as Mr. Putin appears eager for a major expansion of Russian nuclear abilities. The United States and Russia are already racing to modernize their existing nuclear arsenals, replacing aging missile systems with smaller, more modern weapons that are harder to stop and more precise. That effort by Moscow and Washington, while allowed by current arms control treaties, has nonetheless caused fears of renewing a kind of Cold War-era arms race as the two nations seek technological dominance. The United States is also moving ahead with a modest system of missile defenses in Europe, a program that has deeply angered the Kremlin, which rejects arguments that it is aimed solely at the threat from Iran. But if Mr. Trump also intends to increase the number of America’s nuclear weapons, it could represent a significant break in strategic policy that dates to talks between the two nations that began under President Richard M. Nixon. It could also be a drastic reversal of President Obama’s approach. In one of his first major speeches in 2009, Mr. Obama told a cheering crowd in Prague that the United States would lead an effort to pursue rules and treaties that would result in a world without any nuclear weapons. Mr. Obama has had some limited success in pursuing that vision during his eight years in office. He convened a regular nuclear nonproliferation summit meeting aimed at stopping the spread of nuclear material with special concerns about terror groups gaining access to these materials. Mr. Obama negotiated a deal with Iran that his administration says would delay that government’s ability to develop a nuclear weapon. But during Mr. Obama’s time in office, North Korea has conducted several nuclear weapons tests. Contrary to Mr. Obama’s own conciliatory nuclear posture, and concrete steps in that direction, his administration has also embarked on a sweeping modernization of the American nuclear arsenal that may cost up to $1 trillion over three decades. It features new factories, refurbished nuclear arms and a new generation of weapon carriers, including bombers, missiles and submarines. The bombers are to carry a new super-stealthy cruise missile meant to slip through enemy air defenses. In an interview with The New York Times in March, the president-elect also suggested that Japan and South Korea might have to obtain their own nuclear weapons, which would be a reversal of an American policy that for decades extended promises of protection to allies and foreclosed the need for them to go nuclear. The United States currently has about 7,000 nuclear weapons in the stockpile, including about 1,750 strategic warheads deployed in missile silos, on bombers and in submarines around the world, according to the Federation of American Scientists. That is down from more than 30,000 warheads at the height of the Cold War. Russia has about 7,300 nuclear weapons, the federation says. David Wright, co-director of the global security program at the Union of Concerned Scientists, expressed dismay at Mr. Trump’s choice of Twitter to discuss nuclear weapons policy. AT THE height of Silvio Berlusconi’s power, as the billionaire-politician brushed scandals and lawsuits aside with the ease of a crocodile gliding through duckweed, a professor at an Italian university described to Lexington how the terms furbo and fesso helped explain the then-prime minister’s survival. In those bits of Italian society from which Mr Berlusconi drew his strongest support, it is a high compliment to be deemed a furbo, or a sly, worldly wise-guy. The furbo knows how to jump queues, dodge taxes and play systems of nepotism and patronage like a Stradivarius. In contrast the fesso is the chump who waits his turn and fails to grasp how badly the system is rigged, or how much of his taxes will be stolen. The fesso might cheer a new clean-air law in his city, naively taking an announcement by the elites at face value. The furbo wonders who in the environment department may have a brother-in-law with a fat contract to supply chimney scrubbers. Mr Berlusconi’s fans saw him as the furbo to end all furbi. He showed that he heard them, offering them crude appeals to wise-guy cynicism, as when he asserted that any Italians who backed his centre-left opponents were not just mistaken, but were coglioni or, to translate loosely, “dickheads”, who would be voting “against their own interests”. Living in that sort of society comes with costs. For decades anthropologists and political scientists have weighed the advantages of living in a high-trust, highly transparent country like Sweden, and measured how corruption and squandered human capital harm places like Sicily. “Trust”, a book published by Francis Fukuyama 20 years ago and now sadly topical again, suggested that America and its distinctive model of capitalism flourished because strangers learned to trust one another when signing contracts, allowing them to do deals outside the circles of family, tribal or in-group kinship relied upon in low-trust societies. As the Trump era dawns in America, the composition of the cabinet and inner circle taking shape around Donald Trump is too ideologically incoherent to define the next president’s policy agenda. There are bomb-throwers and hardliners in Team Trump, including cabinet secretaries who have called for the federal agencies they will run to be hobbled or abolished, and an alarming number of men who see no harm in threatening a trade war or two. But it also has figures from the oak-panelled, marble-pillared heart of the Republican establishment. When it comes to national security, Mr Trump’s nominee to run the Pentagon is a retired general, James Mattis, who has called Russia’s annexation of Crimea a “severe” threat and accused President Vladimir Putin of wanting to “break NATO apart”. His pick to run the State Department, Rex Tillerson, is CEO of an oil firm, ExxonMobil, that argued against sanctions imposed on Russia after the Crimean invasion. Mr Trump’s Office of Management and Budget is to be run by a shrink-the-government fiscal conservative, Representative Mick Mulvaney of South Carolina, while his chief strategist, Stephen Bannon, has called for a trillion-dollar infrastructure plan that will drive conservatives “crazy”. It is equally easy to imagine headlines, years from now, that call President Trump a revolutionary who took America down the path to hard-edged nationalism, as it is to imagine a hapless incompetent paralysed by factional in-fighting and plunging poll ratings. Mr Trump will not be able to stop that destructive mission to make America less like Sweden and more like Sicily. He has too many promises that he cannot keep. He must betray those supporters whom he wooed with a conspiracy theory dressed up as an economic policy, backed with crude invective worthy of an American Berlusconi. He spotted a market opportunity: millions of Americans with conservative instincts, notably working-class whites in the Midwest, who felt ill-served by both major parties and could conceive of no benign explanation for social and economic changes that angered and dismayed them. Mr Trump ignored transformational forces, such as automation or global competition. He dismissed the notion that foreign policy is filled with complex trade-offs. Instead Mr Trump told voters a story about “stupid” and feckless elites who had given away what was rightfully theirs: from manufacturing jobs to traditional values or a border secure against illegal immigrants and Muslim terrorists. Just give him power, and all would be well. Fomenting cynicism and partisan divisions is not a flaw in Mr Trump’s approach to politics: it is his best chance of surviving the next four or eight years, as reality bites. That is why he has told his supporters not to believe the CIA, when American spy chiefs accuse Russia of working to disrupt the election by hacking e-mails sent by bosses at the Democratic National Committee and the Clinton campaign. It is why Mr Trump has recently held rallies in states that he won, telling supporters, “We are really the people that love this country” and breezily saying of crowd chants to lock Mrs Clinton up: “That plays great before the election, now we don’t care.” As a man about to break his word, Mr Trump needs an America in which all morals are relative, facts are written by winners and principles count for less than winking appeals to partisan loyalty. Most of the Trump legacy is still unknowable. Some of what he does will be reversed by the next president when the electoral pendulum swings the other way, as it usually does. A lower-trust America will be harder to fix. Truth be told, Trump is not anchored in either major party. His ideology is Trumpism. His appeal lies in tribalism. Anointed by the white simple-minded working-class yahoos w/guns, Trump is the White Champion, striking out in the dark against imagined enemies. Well, that was interesting … Donald Trump came to lunch at The New York Times. You can find all the highlights on the news pages, but since I had the opportunity to be included, let me offer a few impressions of my first close encounter with Trump since he declared for the presidency. The most important was that on several key issues — like climate change and torture — where he adopted extreme positions during his campaign to galvanize his base, he went out of his way to make clear he was rethinking them. How far? I don’t know. But stay tuned, especially on climate. On the question of whether the U.S. military should use waterboarding and other forms of torture to break suspected terrorists — a position he advocated frequently during the campaign to great applause — Trump bluntly stated that he had changed his mind after talking with James N. Mattis, the retired Marine Corps general, who headed the United States Central Command. The one area where I think Trump is going to have the hardest time delivering on his campaign promises is to create “millions” of good-paying jobs by incentivizing and pressuring American companies to manufacture more in the U.S. He still talks about America as a manufacturing wasteland when, in fact, manufacturing remains the largest sector of the U.S. economy but employs far fewer workers. Bottom line: The campaign is over, but the struggle for Donald Trump’s soul has just begun. Trump clearly learns by talking to people, not reading. Because so few thought he would win, many of those who gathered around him and had his ear were extreme characters. To do that he needs to moderate many views and learn from a much wider network of people. For those of us who opposed Trump’s election, it is not time to let down our guard and stop drawing redlines where necessary. But for moderate Republicans and Democratic business leaders, like a Bill Gates, who can gain his ear and respect, and who have made big investments in clean energy, Trump may be — may be — persuadable on some key issues. They need to dive in now and try to pull him toward the center. BRITAIN’S vote to withdraw from the European Union followed by Donald Trump’s election in America constitute a single giant political event — one that makes 2016 a vintage year in history that will long be studied. Big political events have big causes. For the last three years I’ve been working on a book about what’s been happening beneath the surface — in the plumbing and wiring of the world — that’s roiling politics in so many places. My answer begins with a question: What the hell happened in and around 2007? 2007? That’s such an innocuous year. But look again. 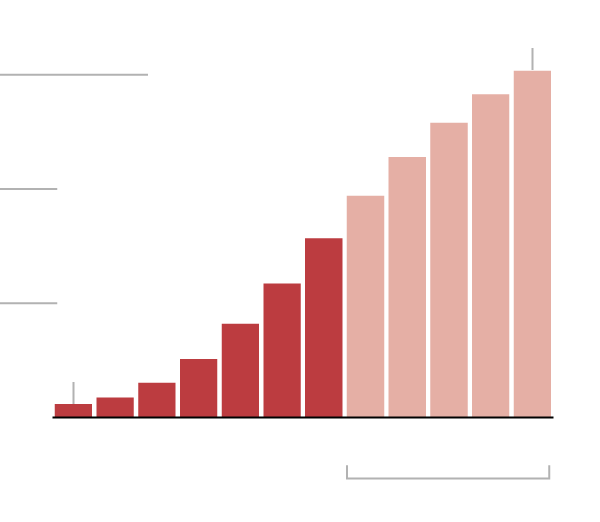 The cost of making solar panels began to decline sharply in 2007. Airbnb was conceived in 2007 and change.org started in 2007. GitHub, now the world’s largest open-source software sharing library, was opened in 2007. And in 2007 Intel for the first time introduced non-Silicon materials into its microchip transistors, thus extending the duration of Moore’s Law — the expectation that the power of microchips would double roughly every two years. As a result, the exponential growth in computing power continues to this day. Finally, in 2006, the internet crossed well over a billion users worldwide. In time, 2007 may be seen as one of the greatest technological inflection points in history. And we completely missed it. Yes, right when our physical technologies leapt ahead, many of what the Oxford economist Eric Beinhocker calls our “social technologies” — all of the rules, regulations, institutions and social tools people needed to get the most out of this technological acceleration and cushion the worst — froze or lagged. In the best of times social technologies have a hard time keeping up with physical technologies, but with the Great Recession of 2008 and the political paralysis it engendered, this gap turned into a chasm. A lot of people got dislocated in the process. How could they not? What happened around 2007 was that connectivity and computing got so fast, cheap, ubiquitous and leveraged that they changed three forms of power — in really differentiated ways — all at once: the power of one, the power of machines and the power of ideas. What one individual or small group can now do — the power of one — to make or break things is phenomenal. When President-elect Trump wants to be heard he now gets his message out directly from his New York penthouse through Twitter to 15 million-plus followers at any hour of the day he pleases. And the Islamic State does the same from a remote province in Syria. Machines can now not only beat humans at “Jeopardy!” or chess, they are starting to become truly creative, offering architectural and other designs and writing news stories, songs and poetry that are indistinguishable from the work of humans. At the same time, ideas now flow digitally through social networks all over the world faster and farther than ever. As a result, new ideas (including fake news) can suddenly take root, and long-held ideas — think opposition to gay marriage or transgender rights — can suddenly melt away. So if you look down from 30,000 feet you see that technology, globalization and, I would add, Mother Nature (in particular, climate change, biodiversity loss and the impact of population growth) are all accelerating at the same time, and feeding off one another: More Moore’s Law drives more globalization and more globalization drives more climate change. And together, climate change and digital connectivity drive more human migration. I recently met with economic and climate refugees in West Africa who made it clear to me they didn’t want aid from a rock concert in Europe. They want to come to the Europe they see on their cellphones — and they are using WhatsApp to organize vast illicit migration networks to get there. So no wonder many in the West feel unmoored. The two things that anchored them in the world — their community and their job — are feeling destabilized. They go to the grocery store and someone there speaks to them in a different language or is wearing a head covering. They go into the men’s room and there is someone next to them who looks to be of a different gender. They go to work and there’s now a robot sitting next to them who seems to be studying their job. I celebrate this diversity of people and ideas — but for many others they’ve come faster than they can adapt. These accelerations in technology, globalization and Mother Nature are like a hurricane in which we’re all being asked to dance. Trump and the Brexiters sensed the anxiety of many and promised to build a wall against these howling winds of change. I disagree. I think the challenge is to find the eye. For me, that translates into building healthy communities that are flexible enough to move with these accelerations, draw energy from them — but also provide a platform of dynamic stability for citizens within them. More on that another day. Bibi never lays down a credible peace plan that truly puts the ball in the Palestinians’ court. And when someone like Obama exposes that — and Bibi comes under intense criticism from the liberal half of Israel, which sees the country getting more and more isolated and less and less democratic — Bibi just calls Obama an enemy of Israel and caves to the settlers. U.S. Jewish “leaders” then parrot whatever Bibi says. Sad. More worrisome is the fact that President-elect Donald Trump — who could be a fresh change agent — is letting himself get totally manipulated by right-wing extremists, and I mean extreme. His ambassador-designate to Israel, David Friedman, has compared Jews who favor a two-state solution to Jews who collaborated with the Nazis. I’ve never heard such a vile slur from one Jew to another. That would keep Israel in permanent conflict with Palestinians and the Muslim world, as well as many Western democracies and their college campuses. It would draw all attention away from Iran’s own human rights abuses and enable Iran and ISIS to present themselves as the leading Muslim protectors of Jerusalem — and to present America’s Sunni Arab allies as lackeys of an extremist Israel. This would create all kinds of problems for these Arab regimes. A West Bank on fire would become a recruitment tool for ISIS and Iran. The American policy is "one president at a time." Trump is not Mr. President yet. The Logan Act (1 Stat. 613, 18 U.S.C. &#167; 953, enacted January 30, 1799) is a United States federal law that forbids unauthorized citizens from negotiating with foreign governments having a dispute with the U.S. It was intended to prevent the undermining of the government's position. The Act was passed following George Logan's unauthorized negotiations with France in 1798, and was signed into law by President John Adams on January 30, 1799. The Act was last amended in 1994, and violation of the Logan Act is a felony. To date, only one person has ever been indicted for violating the act's provisions. However, no person has ever been prosecuted for alleged violations of the act.